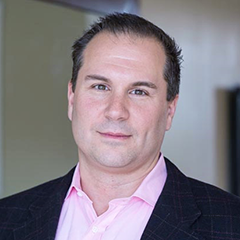 Synapse spoke with Entrega President and CEO David Lucchino about his journey from founding a biotech IP firm to CEO of two Boston biotech companies, Semprus Biosciences and Entrega. After starting a biotech IP firm, LaunchCyte, in Pittsburgh in 2000, David Lucchino moved to Boston to attend MIT Sloan School of Management. There Lucchino met MIT graduate student Christopher Loose. Together they co-founded Semprus Biosciences to develop a novel anti-microbial coating technology, which was sold to Teleflex for $30 million. Lucchino subsequently moved to his current company, Entrega, which seeks to improve oral drug delivery with a simple engineering solution that protects the payload and delivers it at the right place and time. "I’m looking for people who are shrewd and savvy, who can take their idea and think about it in just unique enough of a way that nobody else has to fill a big mark or opportunity." SYNAPSE: How did you transition from founding LaunchCyte in Pittsburgh to coming to MIT Sloan for your MBA? LUCCHINO: In 2000, I co-founded LaunchCyte, a Pittsburgh biomedical IP acquisition & development firm. We had licensed some technology from MIT Professor Alex Klibanov,but unfortunately it wasn’t going to work for our application. I reached out to Prof. Klibanov to apologize and offered to take him to a Red Sox game. He said, “David, I’m Russian. I couldn’t care less about baseball, but my good friend Bob Langer likes it. How about you take him instead?” I didn’t really know who Bob Langer was at the time, but we hit it off. Bob told me that I was still in the minor leagues and I should come get my MBA at MIT. I applied and got in. I couldn’t have planned that. SYNAPSE: Since LaunchCyte’s companies were right out of academia, how closely were you involved with technology transfer offices? LUCCHINO: We worked very closely with them to negotiate a license or an option on a technology. Say that I like some technology you’re developing - I would work with you and the technology transfer office to get an exclusive option on the technology for 6 months or a year. A year is around $1000, and I play around with it in that period. If I like it, then I would go to a full licence which is a much more involved process. You’re taking that raw technology and trying to turn it into something that has commercial viability. That’s what my partner, MIT chemical engineering student Chris Loose and I did with Semprus Biosciences. We took his basic technology and idea out of the Langer lab, licensed it, and started a company with it. We won the MIT $100K Competition as well as at Harvard, Oxford, and Rice, winning about $100,000 in prize money to bootstrap our company. We got FDA approval our product 5 years later. SYNAPSE: Based on your success in those competitions, what do you think are the most important components of an effective pitch? LUCCHINO: Impact! What’s the impact you’re going to make? The goal is to pique someone’s curiosity. When I work with very smart and earnest scientists and engineers , they’re used to long-winded ways of describing their product and share every last morsel of their data. For investors, those details matter at a later time after you already have a foot in the door. If you’re going to go out and communicate your product to someone, you just want to hook their attention. SYNAPSE: Tell us more about your current company, Entrega. LUCCHINO: The vision and funding for Entrega came through PureTech Ventures. PureTech looks for problems that are really hard problems to solve, but where the impact warrants the difficulty. There are a lot of things to do in your career as a researcher. Moderately hard problems and hard problems typically take about the same amount of time and energy to solve, but the impact of solving it is so much greater for the latter. That’s one thing to think about. How do you help people? How do you change the world but also make money for investors? I think that’s a good way to determine what’s worthy of starting company. 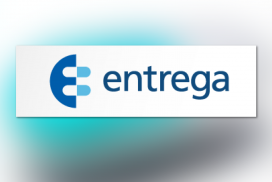 At Entrega, we want to enable oral delivery of proteins and peptides. It could revolutionize the diabetic population. Cancer patients could get treatments at home. It would be a big deal. On the other hand, the hurdle for achieving a new delivery formulation is really high. It has been a long steady burn trying to solve it, but we’re making some reasonably good progress. We’re about to hit key value creation points where we’re able to show in animal models that we can do something that’s truly novel and impactful. 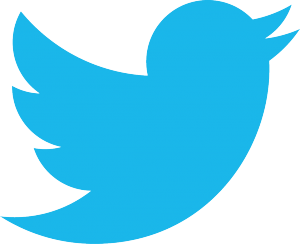 After that, we’ll be strong enough to talk about possible partnerships or collaborations in 2016. We have about 5 full time employees at LabCentral in Kendall Square, and about 10 active consultants - it’s a bit of a semi-virtual model. SYNAPSE: You’ve had experiences with regulatory agencies while at Semprus as well having having been a member of Board of Directors of the Advanced Medical Technology Association. What should entrepreneurs who have no regulatory experience know about the FDA? LUCCHINO: My experiences with the FDA have been positive. It’s highly variable and you have to be prepared for it. You want some people who have been through that before to at least advise you on how to approach it. SYNAPSE: Can a smaller startup go through the entire FDA approval process on their own? LUCCHINO: Yes, we did at Semprus, which is one of the things I’m most proud of. We got FDA approval on our first product and did it all in-house. I brought in someone to lead that regulatory effort along with a consultant to help us. We put together literally four full telephone books worth of documents that we sent to the FDA for approval. When dealing with the FDA, you need a really good leader with a steady hand. Their number one concern is patient safety, so they need to be convinced the product you have isn’t harmful. The issue is the FDA is stretched so thin you often have reviewers looking at antimicrobial data who are chemists instead of microbiologists. Sometimes they’re going to ask you questions that you don’t think are valid, but there’s no sense in arguing. Don’t take it personally, just say “Here’s the answer” and move on. "You want to as effectively as you can to be able to hang in there through tough times since there are going to be ups and downs." SYNAPSE: As the head of a startup, what do you look for most in prospective employees? LUCCHINO: I want someone who’s the equivalent of a good athlete - they can run, field, throw, hit the ball, and hit the ball for power. Someone who’s a good player and has the respect of their colleagues because they’re diligent and thorough. Someone who’s not interested in getting all of the credit for themselves as much as wanting to see the team succeed. I assume a high level of competency. If I interview someone out of Harvard, MIT, BU, BC, etc., I’m assuming they’re going to have the chops to be there. Attitude, drive, tenacity, problem-solving skills, and the ability to work with others are paramount. I also look for a diversity of experiences in my employees. In a small company you need people who are jacks-of-all-trades. Once at Semprus I had to ask a chemical engineer to do the job of a mechanical engineer. She did it exceptionally well: smart, dogged, able to ask all the right questions, and a real leader. We need people who aren’t so rigid in how they view their roles. SYNAPSE: What advice do you have to early stage entrepreneurs who are trying to build out their team? LUCCHINO: Choose people you like. This is going to sound trite until you go through it, but nothing great happens until you’re having fun and doing it with someone you like. In the past, I’ve hired people where there was no question about their intellect but it turned out they had a bad attitude. I had to move those people out of the company. The question in Kendall Square isn’t one of intelligence. Everyone is incredibly smart. I’m looking for people who are shrewd and savvy, who can take their idea and think about it in unique enough of a way that nobody else has. SYNAPSE: What is your approach to managing a team of employees? LUCCHINO: It’s my responsibility as a CEO to make sure my people work. I think a lot of people do it backwards and say, “My employee’s not working hard”. Well, you hired them so you need to go in, fix it and empower them. The model that I use was given to me by some of my MIT Sloan Navy SEAL friends. When you’re a Navy SEAL and you’re out on a mission, rank doesn’t matter. It’s not about who’s the colonel, and who’s the corporal. It’s just about achieving the mission and bringing everyone home safely. When you work at these small startup companies, it’s sort of the same thing. It’s not about who has what rank. If I start pulling rank on my colleagues, they’re probably not going to stick around for long. You need to create a system where the best ideas are allowed to come to the surface, are evaluated, and win. Sometimes I need to make those decisions, but 60% of the time those decisions are just obvious and the team makes them without me. SYNAPSE: Based on what you’ve seen as venture capitalist at LaunchCyte and PureTech, how should one expect equity to be split up among various players such as co-founders, early employees and board members? LUCCHINO: To me, it’s about who is doing the work. The rational way that I’ve seen is to split equity evenly among founders - that may or may not always be right. But it’s really a question of doing the work and who owns the underlying IP. A lot of the academic founders feel that they have lottery tickets on their technology. But it’s a tremendous amount of work to go from an idea in the lab to actually making a commercially viable product. You want to incentivize as effectively as you can to be able to hang in there through tough times since there are going to be ups and downs. There are times where you’re going to say to yourself, “I can’t believe I did this. This was the worst career move of my life”. And then there will be other times where you’ll be on top of the world. SYNAPSE: Say a graduate student or postdoc has an idea for a company but it’s only that - an idea. What’s the best way to put out feelers as to whether that idea can be the basis of a viable company - for example, pitch competitions, talking to academic experts, pitching to angel investors? LUCCHINO: When you want advice from an investor, ask for money, and when you want money from an investor, ask for advice. Say, “Hey, I’ve got this idea and think it could be huge, but I’m keeping it close to the vest. You’re really respected in this space - could you give me 30 minutes of your time to listen to me?” I would say 6 or 7 out of 10 venture capitalists will respond to that. And, being from MIT usually doesn’t hurt. Investors are looking for the next big thing, the next Facebook. Students should know they are the currency for that. Investors often don’t bring much more to the table than money. I’m not saying that to be critical, but usually the brains, the heart and soul, the software are the men and women who are now at MIT. SYNAPSE: When should or shouldn’t a company try to raise money from VCs? LUCCHINO: VCs are basically fund managers; their job is to put a lot of money to work, and they’re graded on is how much the investment earns. As the entrepreneur, you might not always want a lot of money but if a VC raises a half-billion dollar fund, they want companies that they can pour $5-10 million into. When you’re raising venture capital, typically you’ll give up large fractions of the company. In the end you might only keep 10-20% for the employees. For example, the publicly-traded company Chiasma was ~96% owned by VCs while the employees had the other 4%. That’s probably not an outcome you want unless you’re a massive success like Google. SYNAPSE: What advice do you have for graduate students or postdocs interested in working the biotech industry? LUCCHINO: Find out who the winners are in your particular space. Who are the people who built companies from scratch, got regulatory approval, and have done it time and time again? Those are the people you want to know. There are some VCs who also do an amazing job - for example, Alan Crane, previously President and CEO of Momenta, is now at Polaris with a great reputation. Another great guy, Scott Rocklage, started and ran Cubist as its CEO and is now a VC. But remember, these people are busy so you have to come with a great idea and use flattery! Appeal to their ego or their wallet to get in the door. SYNAPSE: What are some of the hardest decisions you’ve had to make while leading Semprus and Entrega? LUCCHINO: The time period during which we launched Semprus couldn’t have been worse - we started in 2007 and sold it in 2012. The team and I were able to raise money, build a product, and get FDA approval during the worst economic downturn since the Great Depression. I got 99 “No”s from VCs and 1 “Yes”, and fortunately all I needed was that one “Yes”. Stay calm and level and don’t let your emotions and passion get in the way. If you’ve built a good team around you and are able to attract investors to your idea, it should ultimately work out. 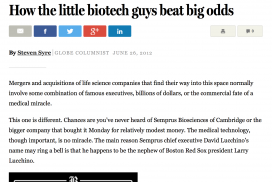 SYNAPSE: As a fun last question, since your uncle Larry Lucchino was president & CEO of three MLB teams including the Boston Red Sox, what parallels do you see between managing a professional baseball team and managing a biotech startup? LUCCHINO: Fundamentally you’re dealing with some of the top 0.1% of the greatest athletes of the world in baseball. I’m working with the 0.1% of the greatest thinkers and folks going to MIT and Harvard. You’re dealing with such a high caliber that you want to create an environment where they’re compensated and incentivized to succeed. In our business it’s about keeping people focused on the patient and unmet clinical need. In his business, it’s about the fans and making sure that whether the team is winning or losing, the fan experience is positive. The biggest overlap between the two industries is just that you have to work really hard. There’s no substitute for putting in the work. I saw my uncle throughout his whole career working 6 or 7 days a week. He probably didn’t have to, but part of the reason that he’s been so successful is that he’s such a workhorse and not a showhorse. Interview originally conducted on 10/23/15, and edited for concision and clarity.